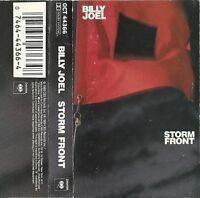 Billy Joel - Storm Front (Cassette 1989 CBS) "We Didn't Start The Fire"
This Sony Black CD Radio Cassette Recorder Boombox offers an ideal solution for playing Mp3 music files, CDs, and even cassettes. Capable of producing crisp clear sounds in any of these formats, the boombox also features a digital turner, headphone jacks, and cassette-recording ability. Lightweight at only 1.9kg, it is a compact unit that is both portable and versatile. I have only had the boombox for little over a week and I have had to put new batteries once and then I had to change those batteries again. It kept telling me that the batteries were low and the batteries that I had put into the boombox were new both times. Since this boombox uses 6 C batteries it costs me at least $10 each time I change the batteries. Very expensive boombox to run!!! If you depend on batteries to run this item, this item is not for you. Liked tis boombox plays my old tapes and new CDs and even has radio..sound quality very good. Haven't tried the sleep timer yet but I am sure it works fine. Light weight and smaller than I thought it would be. Good product all round. This compact, portable radio/CD/tape player is just what I wanted and more than I expected. For $50., the sound is rich and clear and just loud enough for my NYC apartment. I appreciate the mega-boom feature which adds another dimension to the sound quality. I can move the box to various rooms of my home without any problems and it is easy to program and to use, plus it has a sleek, all black look. I am very pleased. The size of this unit is excellent for use anywhere, including the car. 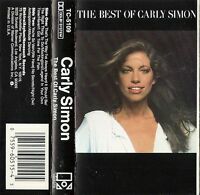 It is very convenient to play old cassettes or CD's, or just listening to the radio. The sound is very clear and has a large range of volume. I'm very satisfied with this purchase and would recommend this Sony CD radio cassette-corder.